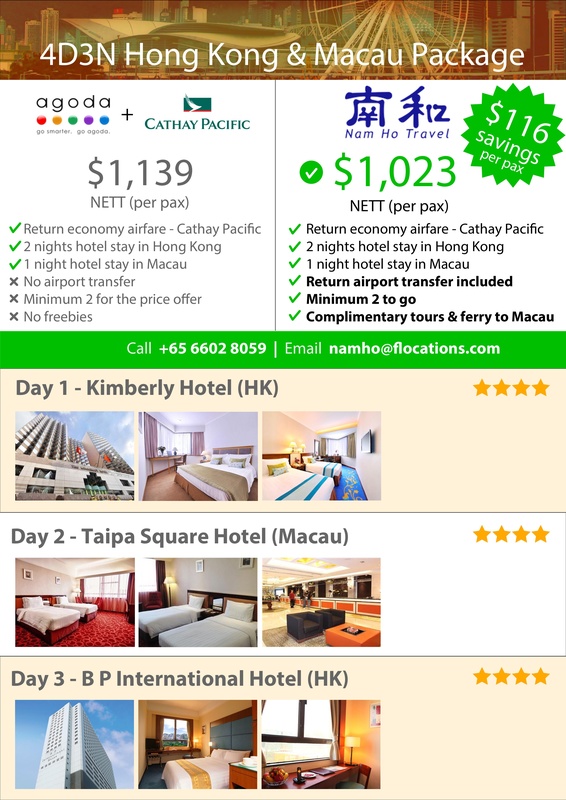 Check out these deals that can only be bought at Singaporean travel agencies. Hurry! Pricing only valid in December before Christmas! The beach area has become a favorite tourist destination for a long time. No one knows since when human beings have found the beaches not only for fishing, but also good for refreshing, relaxing, playing and having fun. For those of you who love traveling abroad, visiting the beaches abroad such Madaket Beach, Lanikai Beach, and Grace Bay Beach can be an unforgettable experience. These three places may not have been so popular, but do not underestimate them, since each of these three beaches offers its own natural beauty, far away from the other crowded tourist spots. Take a look at this following Flocations review about those three beautiful beaches. While in the United States, Madaket Beach is the best recommendation for you who want to enjoy the atmosphere of the beach that is not crowded of visitors. The beach is located in the west of Nantucket Island, a small island where is still in Massachusetts region, suitable for a family picnic for the situation is not too crowded. The advantage you can get from Madaket Beachcompared to other beaches on Nantucket Island is it has a strategic location for viewing the sunset. Madaket Beach’s waves are also great for surfing all the day until the evening. There are also a variety of the typical American-style cottages you can stay in, as long as you are on this beach. Do not worry if you forget to prepare yourself for a picnic here, Madaket has a well-known restaurant: Millie’s Restaurant. Continuing to Hawaiian Islands, another beach that is not less exciting to visit is Lanikal Beach, which means Heaven Ocean. You can guess why the locals call it so. The beauty of an unspoiled Lanikai Beach will thrill anyone who comes here. This beach can be reached by bus from Waikiki. Clean white sand with small waves make it a great placefor relaxing with family. Children can play freely without the worry of being swept away by the waves while their parents enjoy the relaxing moments at the edge. Lanikai’s clean water also makes it perfect for swimming or snorkeling. Because of its very natural surroundings, you will find it hard to find a special restaurant or toilet for tourists on this beach. However, you do not need to worry about that, because the natives in this area will gladly invite you to use their toilest. If still uncomfortable, you can come to the beach next to it, named Kailua Beach. On Kailua Beach, there are various tourist facilities since this beach is larger than Lanikai Beach. Far to the south, crossing the Bermuda Triangle to the Turks & Caicos Islands, Grace Bay Beach spread along the north side of Providenciales. The easiest way to reach Grace Bay Beach is by flight to Providenciales, then traveling overland through Leeward Highway up to Grace Bay Road. Along Grace Bay Road there are various Grace Bay Beach resorts offering a full of serenity vacation. This beach is full with soft white sands and gentle waves of bright blue sea. Snorkeling lovers will find a paradise that makes them drift among the many starfish found here. Although relatively considered under-developed as other beaches in Caribbean Islands, Grace Bay Beach precisely turns it into a hallmark, making this beach as number one beach in Providenciales. To enjoy a fantastic holiday in another parts of America, you can choose Flocations tour packages as you wish. Ready for exploring the beautiful foreign beaches? Vacationing abroad does not have to be expensive. Currently,there is a lot of cheap tour packages for vacationing abroad with tourist destinations which are also as interesting as the expensive tour packages. For those of you who crave for cheap holiday abroad, Phuket Island in Thailand could be the right choice to spend the vacation time while you gain new experiences abroad. Although the cheap tour packages do not provide some exclusive extra services, the service standards are still more than enough for adventuring in Phuket. Not only about the service, the destinations are not less interesting than the expensive tour package’s ones. In Phuket alone there are 4 things you must do: Phuket city tour and seeing the sunset at Rang Hill, a visit to Phang Nga Bay, enjoying Phuket FantaSea, and playing on Phi Phi Island. Arriving in Phuket, you will be directly welcomed by the uniqueness of Phuket City which is full of cultural tourist spots. Old Phuket Town and Wat Chalong Temple are the major historical tourist sites in the city. Wat Chalong Temple has stood since the 19th century, as a Buddhist temple mostly visited in Phuket. You can witness the sacred religious rituals in this place. Moving from Wat Chalong, Old Phuket Town is an old town since the Portuguese colonial era. This area has many historical buildings which are still functioning properly and become a tourist destination. Still in Phuket City, for those who like green hills, can try to enjoy the view from Rang Hill. Natural hills above this Phuket City present a wonderful view of the city landscape, as well as enabling you to see the sunset while enjoying food and beverages in the cafes which are located in Rang Hill. Lastly, do not forget to make time to visit Rawai Beach which has many types of water attractions as well as the opportunity to visit the Sea Gypsy Village. In this village, you can mingle with the lives of beach people..
Coming to Phuket would be incomplete without spending the time, at least one day in Phang Nga Bay. About 45 minutes away from Phuket, tourists will be greeted by the unique beauty of the beaches here. The main attraction for the natural landscape lovers is James Bond Island, a unique coral island shaped like a baseball bat. This coral island stands vertically with its bottom smaller than the top, so it looks like a baseball bat. The island named as James Bond Island since it was used for the shooting site of the movie 007. Nightfall is the proper time to enjoy Phuket Fantasea. Designed as a cultural theme park, Phuket Fantasea exhibits diverse native arts of Thailand which are rich in traditional culture and full of attractions that will awe you. Located on Kamala Beach, 30 kms away from Phuket city, you can reach Fantasea by taxi. Before ending your holiday in Phuket, you should stop first at Phi Phi Island. The island, set for the movie of The Beach site, has the natural beauty of quite remarkable beach and landscape. The shooting site of The Beach is located in one of the tourist spots called Maya Bay. Exploring underwater or surfing above the waves will give you the unforgettable experiences while visiting Thailand. If you want to feel the sensation of this tour directly, Flocations Singapore provides a wide selection of Phuket tour packages here. Choose your tour package and get ready to enjoy the most memorable vacation in Phuket! Hearing the word of Jakarta, you may immediately imagine the long traffic jams haunting all the areas of this city. However, formerly known as Batavia, Jakarta is still popularly visited by the tourists who are curious about the attractiveness of Indonesia’s capital city. In fact, there are many exciting places not to be skipped if you are on holiday in Jakarta. Beside its grandeur buildings and famous shopping centres widely spread, even in every corner, it also has many historical secrets safely kept in the museums. With so many museums located in Jakarta, there are several interesting museums we recommend for you to visit. What are they? Check out these following 5 museums in Jakarta.. Doing museums tour in Jakarta would be incomplete if you skip a visit to Jakarta History Museum. This museum, better known as Fatahillah Museum, is located in the western part of Jakarta. The place is quite strategic, close to the last stop of Trans Jakarta Bus Corridor 1, Station Town, even passed by quite a lot of public transportations. Built in 1710, this museum was once used as a town hall of the Dutch government. Even at the bottom of thi museum there is also a prison. While walking around Fatahillah Museum, you can enjoy a wide collection of historical items which are hundreds or even thousands years old, such as the collection of Chinese ceramics, paintings, furnitures in Dutch colonial era, the statue of Hermes, cannon, inscriptions, and ancient living tools. Do not forget also to visit the other museums around Fatahillah Museum: Puppet Museum, Museum of Fine Arts and Ceramics, Maritime Museum, Bank Mandiri Museum, and Bank Indonesia Museum. Moving into the middle of Jakarta, you can enjoy this city’s icon: the National Monument. Reaching this place is quite easy, just go by Trans Jakarta bus to Block M – Kota Tua route. The monument consists of several parts. First, the top where you can enjoy the view of Jakarta from a height of 137 meters. Next, there is also a voice recording of the first president of Republic Indonesia, Ir. Sukarno, reading the text of the Indonesia’s Independence proclamation. The next area is the National History Museum, located on the ground floor. Here the visitors can witness the diorama of Indonesia’s independence struggle complete with the battle armors used at the time, Tapered Bamboo. Outside the monument’s building, visitors can enjoy the Fountains and Garden area of ​​approximately 80 acres that surround the monument. The next place for historical tour in Jakarta is Satriamandala Museum, located on Gatot Subroto Street, South Jakarta. More complete than what tourists can find at the National Monument, Satriamandala Museum stores the weapons from the army of Indonesia and Indonesian people which were used during the war of Indonesia’s independence. Not only weapons, even aircraft which had ever been flown by a great hero Augustine Adisutjipto stored in this museum’s display. Slightly relaxed and away from the impression of the battle, Kite Museum that is located in Pondok Labu, South Jakarta contains the kites collections from various regions in Indonesia. This museum is a place of recreation as well educational games for children to understand the traditional kites and their origins. For the visitors who come with small children there are various creative activities provided by the museum owners. To end up your museums tour in Jakarta, Taman Mini Indonesia Indah is the last great place to visit. Taman Mini Indonesia Indah is designed as a botanical garden that brings the charm of the entire territories of Indonesia. This tourist attraction that is located in the eastern part of Jakarta has 17 museums, 34 provincial bridges, places of worship, areas of flora and fauna, and recreational areas which are all ready to visit. To make a note, Museum of Science Technology Demonstration Centre and Transportation Museum should not be skipped from your visit lists because they are very interesting and informative also. The more interesting part, you can easily plan the museums tour with Flocations Singapore by choosing various Jakarta travel packages here. Invite your family to join Jakarta museums tour! Flocations helps travellers to find the trips they have in their mind by aggregating travel packages from local agencies.